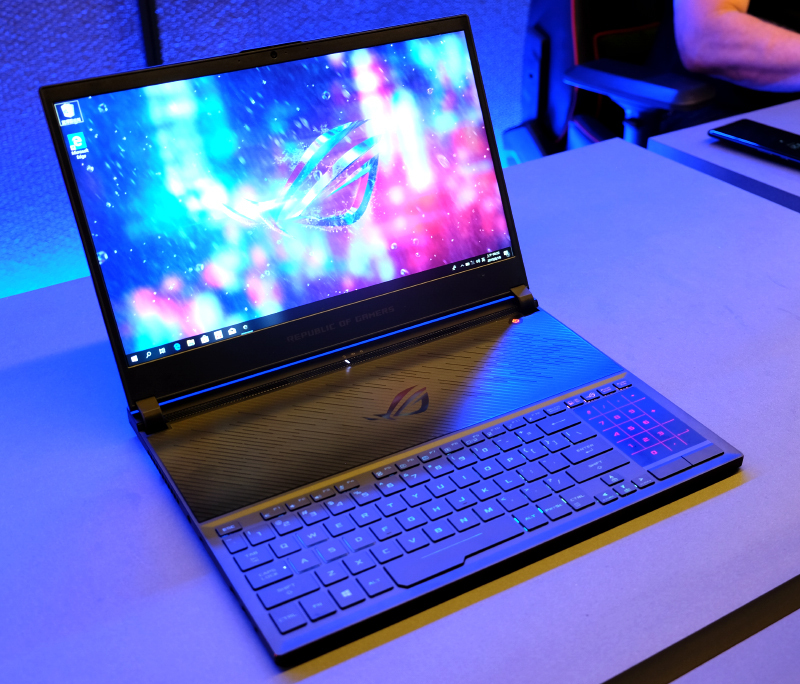 Behold, the new ASUS ROG Zephyrus S, the thinnest notebook in the world with a GeForce GTX 1070 Max-Q GPU. It is just 15.75mm thick at its thickest point and weighs 2.1kg. It feels rather hefty in the hands but it is remarkably thin. Here it is next to an iPhone 8 Plus. 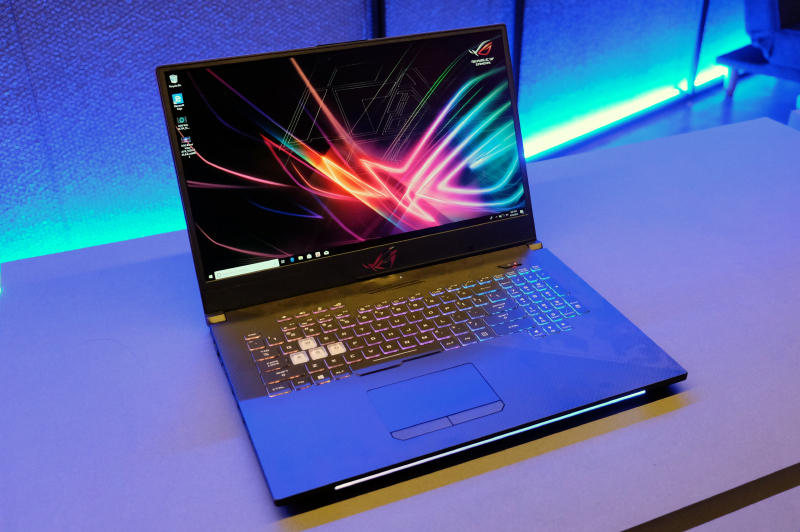 For a gaming notebook with a powerful quad-core processor and GeForce GTX 1070 Max-Q GPU, it is incredibly thin. 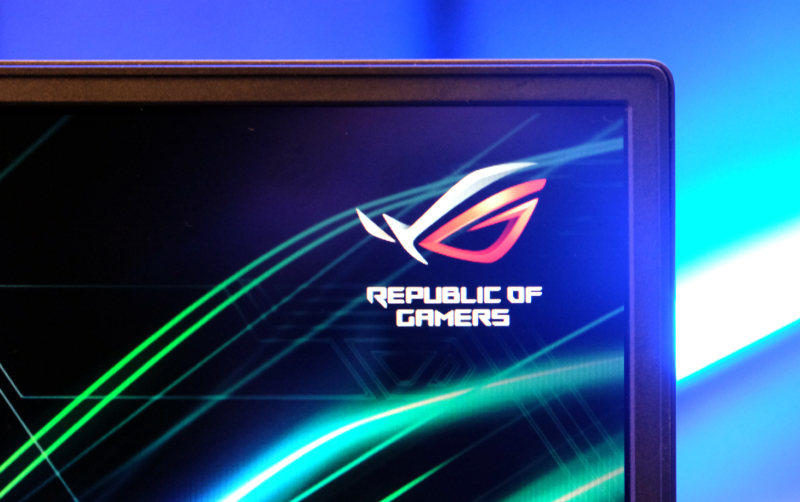 It has a 15.6-inch Full-HD display with a high refresh rate of 144Hz and a low response time of 3ms. On the left, there's two USB 2.0 ports, a USB-C 3.1 Gen 1 port, and a headphone jack. On the right there is a USB-C USB 3.1 Gen 2 port and a USB Type-A USB 3.1 Gen 2 port. 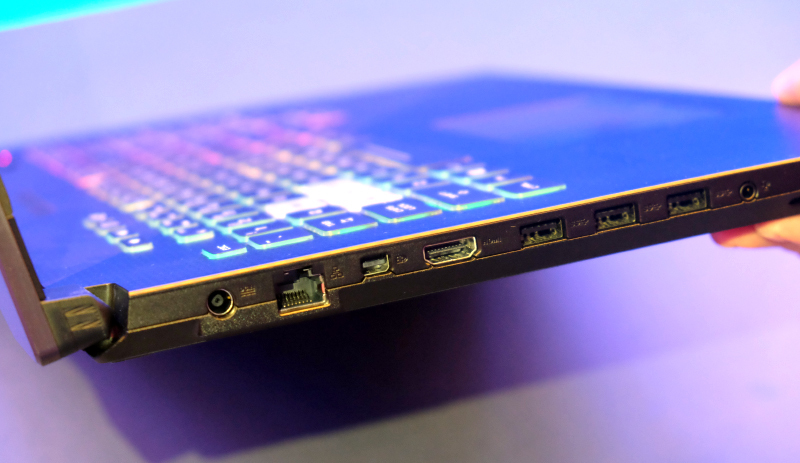 Round the back, there's a HDMI 2.0 port and a Kensington lock slot. 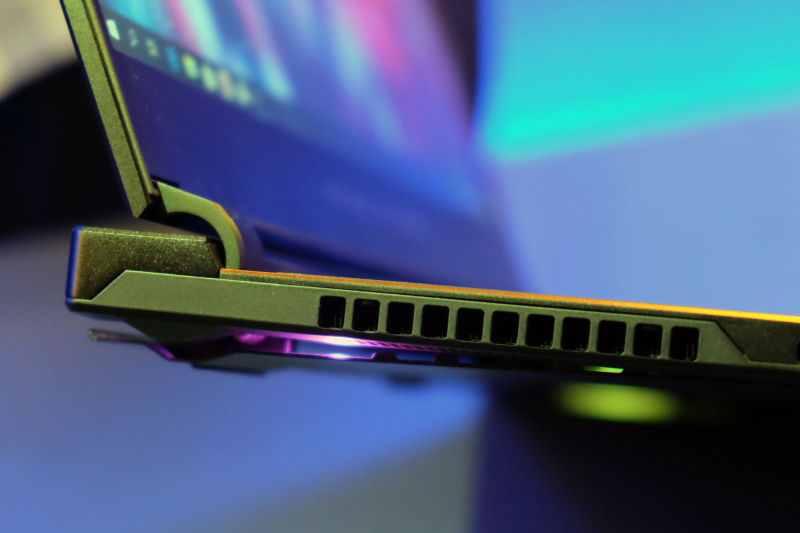 The ROG Zephyrus S has a neat cooling trick. 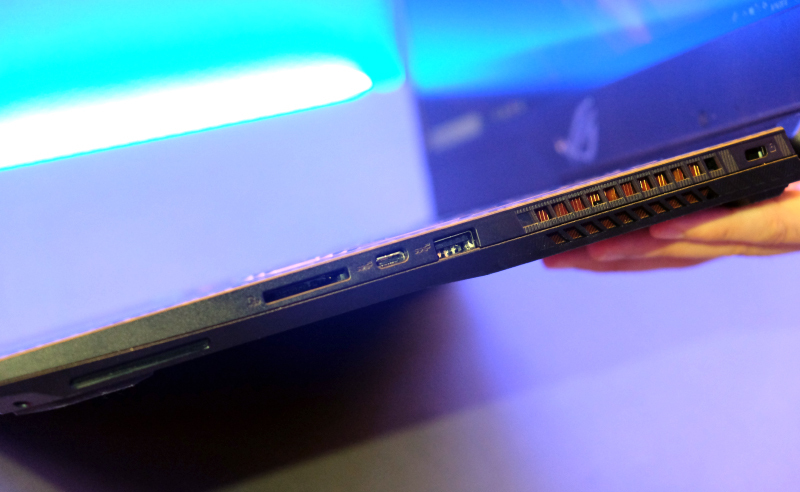 When the display opens, a special vent opens underneath to allow the notebook to draw in more cool air. 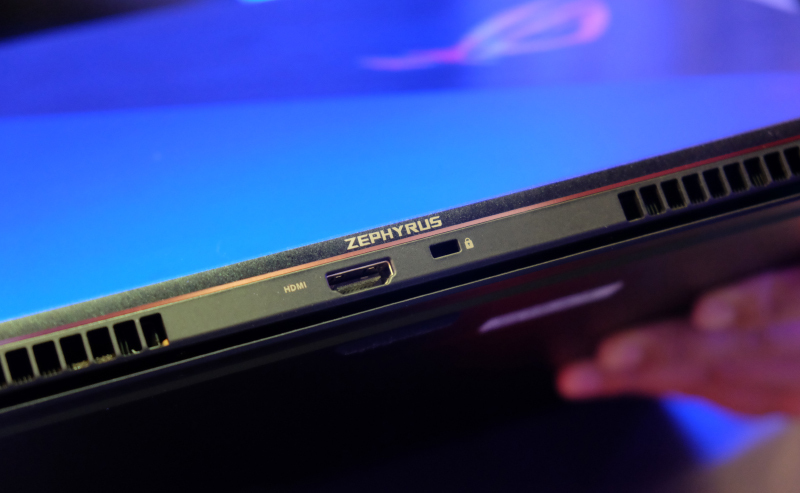 To keep the notebook thin, just like the previous Zephyrus, the new Zephyrus S' keyboard is positioned at the bottom. To the right of the keyboard, the touchpad that changes into a virtual keypad makes a return. 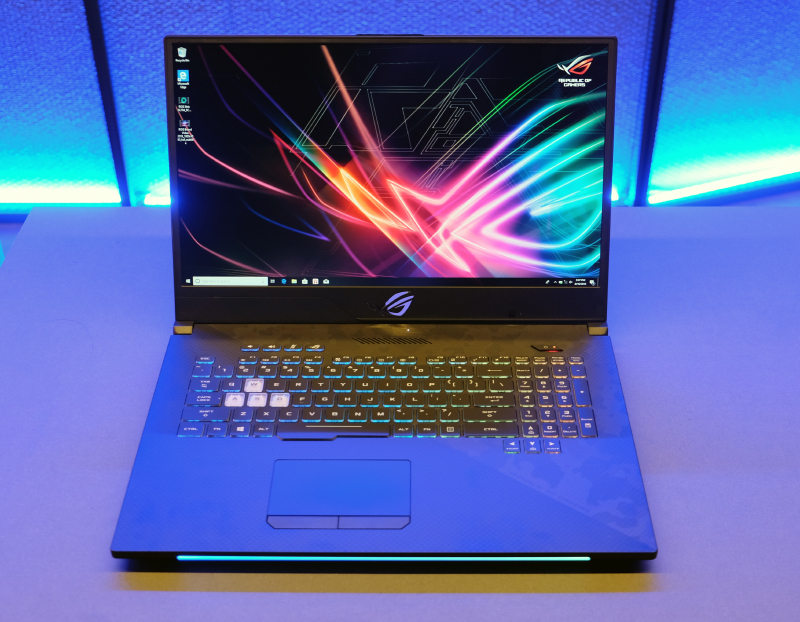 According to ASUS, the new ROG Strix Scar II is the world's most compact 17-inch gaming notebook. 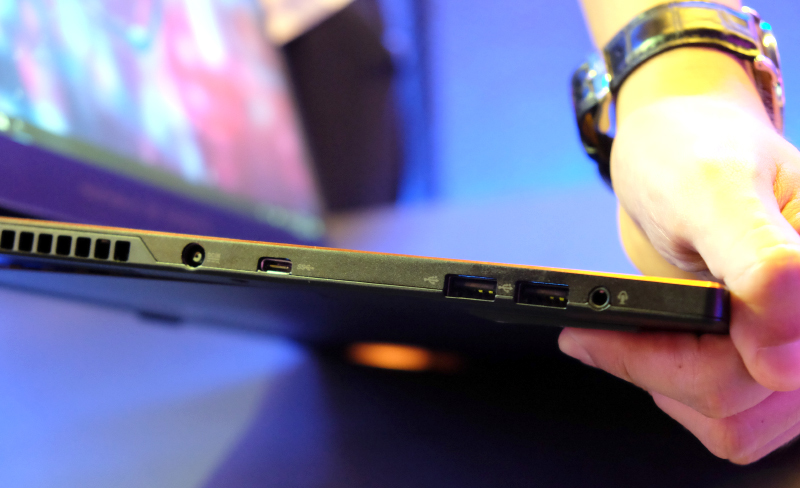 Thanks to super thin bezels, there were able to fit a 17-inch display into the chassis of a 15.6-inch notebook. 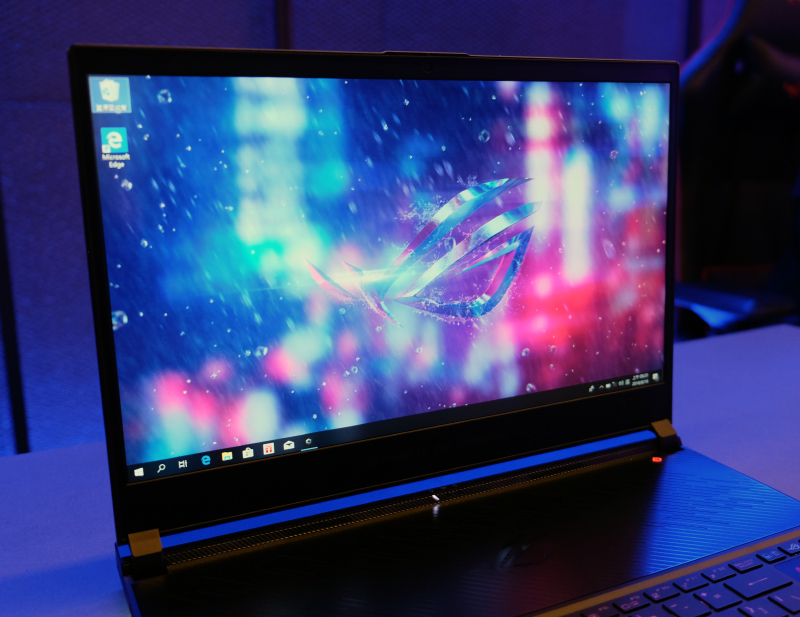 The bezels are just slightly over 7mm thick, which is up to 50% thinner than typical 17-inch notebooks. On the left side, there's a full-size Gigabit Ethernet port, a mini-DisplayPort, a HDMI 2.0 port, three USB 3.1 Gen 1 ports, and a headphone jack. 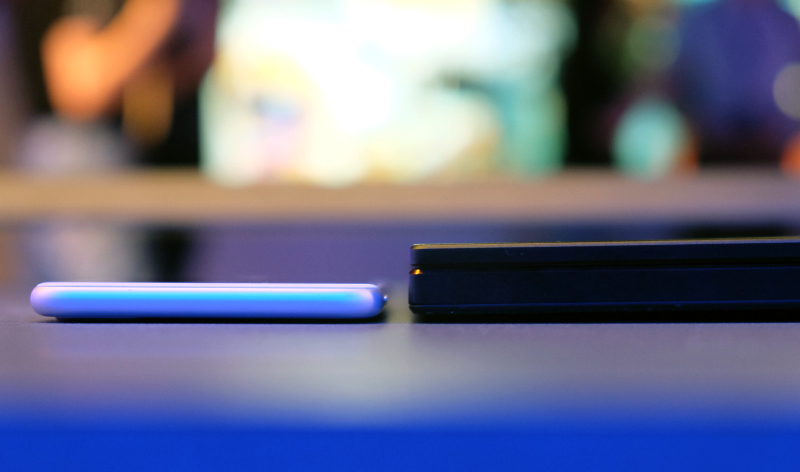 On the right, there's a full-size SD card, a USB-C USB 3.1 Gen 2 port, and a USB Type-A USB 3.1 Gen 2 port. 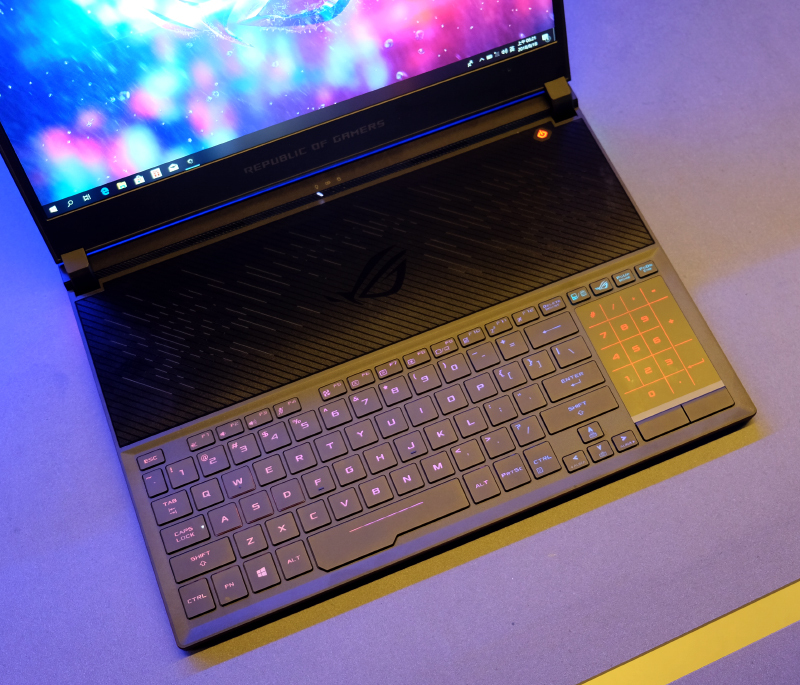 The ROG Strix Scar II features no less than seven customizable Aura Sync zones and one of the highlights is the light bar up front. 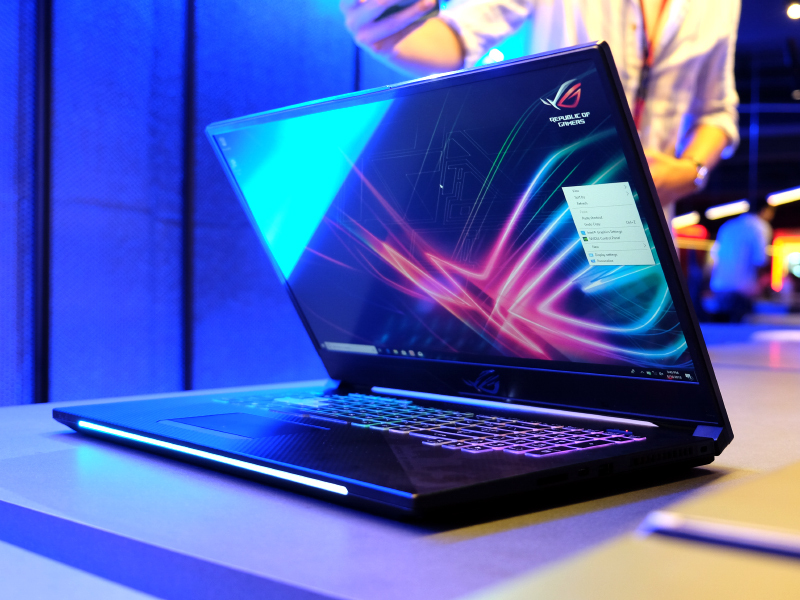 The ROG Strix Scar II is powered by a quad-core Core i7-8750H processor and an NVIDIA GeForce GTX 1060 GPU. 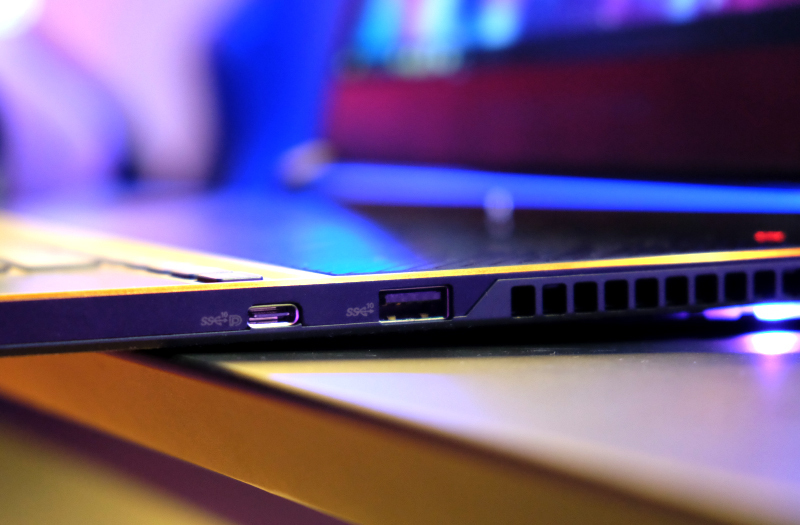 It can be equipped with up to 32GB of RAM and up to a 512GB SSD. The 17.3-inch Full-HD display has a refresh rate of 144Hz and a 3ms response rate.